Almost 100 years ago, Augusta University was known as the Junior College of Augusta and shared a building with the Academy of Richmond County. In 1955, though, everything changed when the Arsenal up the hill was decommissioned. The Augusta Arsenal had been on the Hill since 1827 as part of the U.S. military establishment. It surrendered to Georgia troops in January 1861 and became part of the Confederacy in the Civil War, charged with contributing munitions to the war effort. Returned to the federal government at war’s end in 1865, the Arsenal became an important manufacturing center, supplying U.S. troops with small weapons ordnance, equipment and munitions through numerous conflicts, including World War I, World War II and the Korean War. The Richmond County Board of Education acquired a portion of the Arsenal property in 1957, and the Junior College of Augusta (soon to be renamed Augusta College) made the former Arsenal its home. Sherman Drawdy, president of the Georgia Railroad Bank, was a prominent Augustan and wanted to celebrate the new campus. So, in commemoration of the college’s new home, the bank donated a bell from the Georgia Railroad’s last steam engine. John Henry Eubanks, a Latin professor, had an idea to wire the bell to the administration building clock. 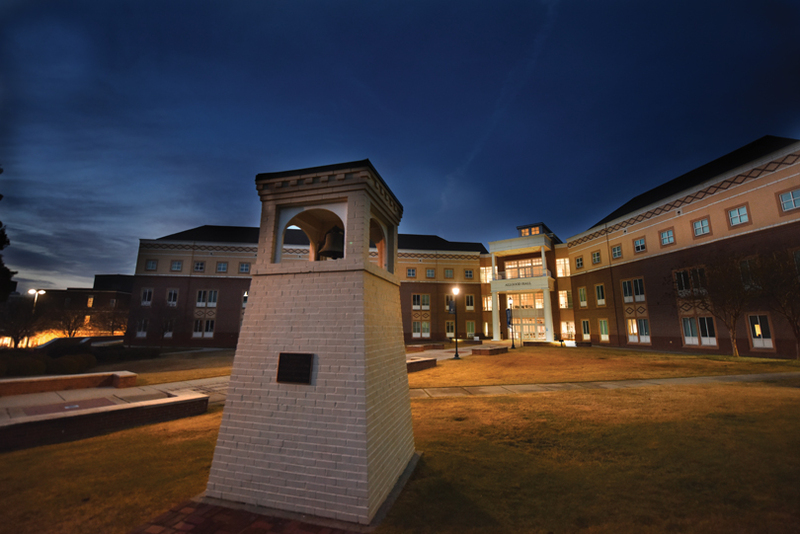 Eubanks, along with LeConte Talley, a physics professor, wired the bell to the administration building clock, and the bell was used to signal class change. After the wiring was complete, the Georgia Railroad Bank built a bell tower to house the bell. The bell tower has remained on the Augusta University Summerville campus since. In this way, not much has changed. The bell tower has remained one of Augusta University’s most recognizable symbols. In fact, The Bell Ringer, Augusta University’s student newspaper, was established in 1957 and took its name from the bell tower. Augusta University’s Health Sciences Campus had independently developed a bell-ringing tradition of its own to announce the birth of a baby and the end of chemotherapy treatment, so it only made sense that the newly named Augusta University’s logo would contain a bell tower. 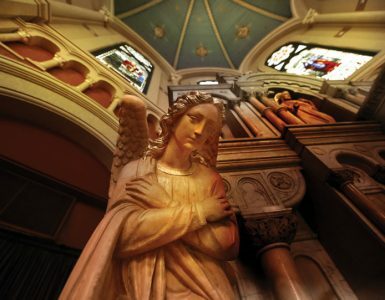 The image serves as a reminder of campus traditions and the connection to the Augusta community. 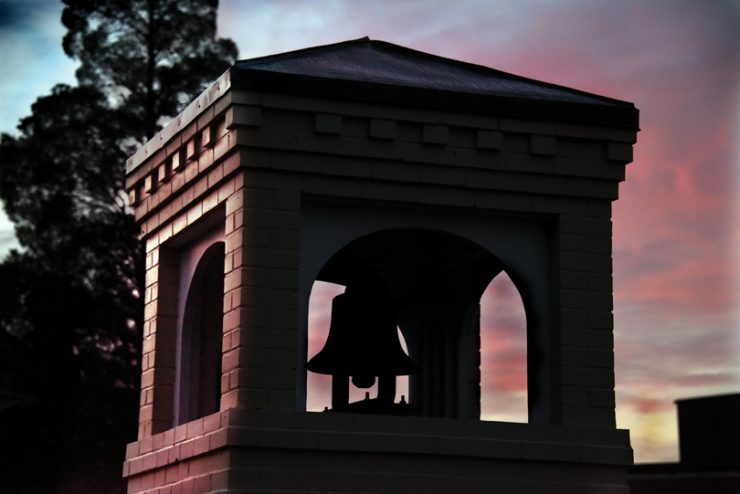 The bell tower is more than just a tradition, though. It also represents the legacy of all who have stepped foot onto Augusta’s campus and all who will.